The University of of the West Indies (UWI) was first established in Mona, Jamaica in 1948. 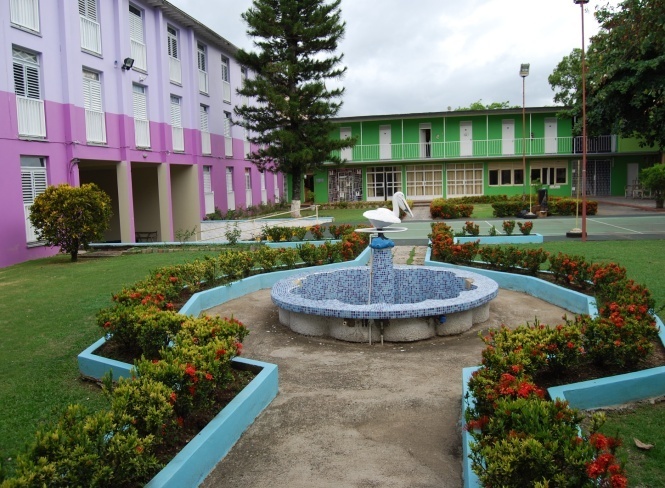 Two other campuses were later incorporated— the St. Augustine Campus in Trinidad and Tobago in 1960, and the Cave Hill Campus in Barbados in 1963. 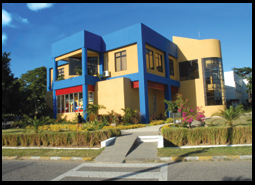 UWI has since become the premier choice for tertiary education, serving fifteen countries in the Caribbean. As a regional institution, the university offers an enriching experience for those who wish to interact with students from diverse cultural and social backgrounds. A strong emphasis on Caribbean issues and international relations in both teaching and research makes the University an ideal learning ground for international students. Courses are available in five departments: Humanities & Education, Law, Medical Sciences, Science & Technology, and Social Sciences. Please scroll down to "Course Transfers Reference Table" to see how courses from UWI transferred to UMB. Nominated students should obtain the necessary forms from the UMass Boston Office of Global Programs, complete, and submit them to the same office. The University offers a range of housing solutions to full-time students. Each full-time student is assigned to a Hall of Residence, however not every student who applies can be accommodated on a hall. U.S. citizens are required to obtain a visa to study in Jamaica. For more information, visit the Jamaican Consulate Boston website.Some visas can take several weeks to obtain. Make sure you understand the requirements for your specific visa.